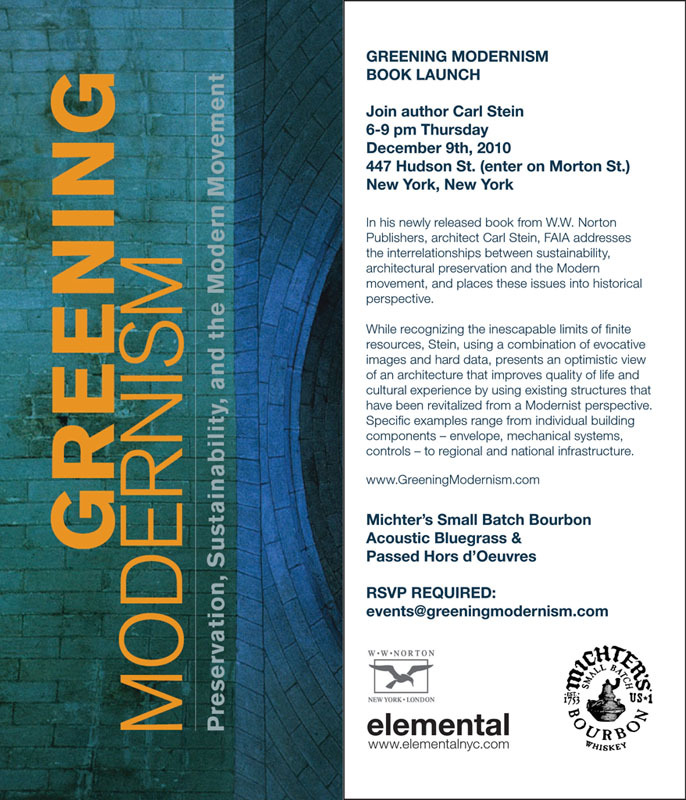 This entry was posted in Events and tagged Carl Stein, elemental, elemental architecture, greening modernism. Bookmark the permalink. I regret that I will miss the book launch; but Tess & I will see you & Nancy just a few weeks later, if all goes well. I’m almost through Section 3 already, and completely engrossed in your argument. Congratulations on a very impressive and timely statement! Thank you for the invitation.